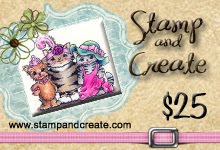 It's time for another challenge at Stamp and Create! This month's challenge is being hosted by Chris. 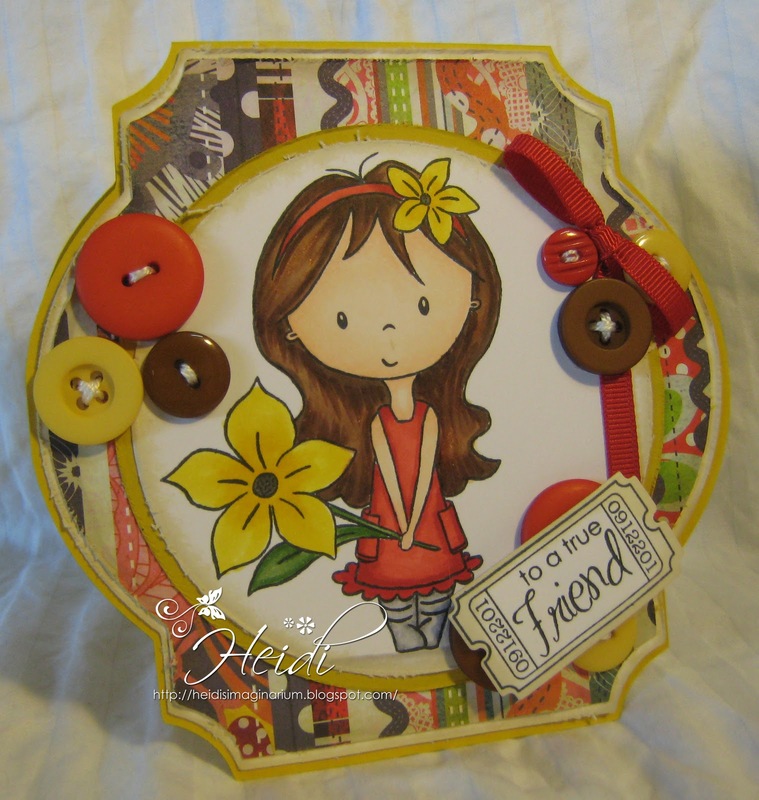 I used Mia with Flower from the latest Wild Rose Studio Release. The paper is from the Basic Grey June Bug Collection. The sentiment is from the Whimsy Friendship Ticket set. I also used the Whimsy Ticket Die, the Bow Easy and spotlight featured Basic Grey Pyrus Buttons. GORGEOUS! Absolutely stonkingly fabulous shape and your image is perfect for it.